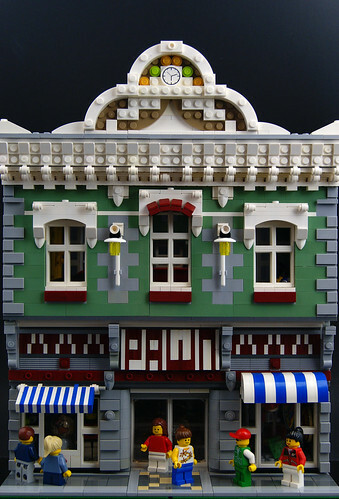 Brick Town Talk: Witting Pawn - LEGO Town, Architecture, Building Tips, Inspiration Ideas, and more! Desperation Boulevard - (BTT) If there were ever a recession-proof business, this is it. Unlike many others in the field, this pawn shop has gone out of their way to create an inviting atmosphere, from the attention-getting crown to the clean and uncluttered interior - even if it does feature a rather large amount of weapons. Rumor has it that the owner is in talks for a new reality show, as the public has been quite adamant that the number of TV shows about pawn shops finally overtake those about cake decorating.